To be fair, there’s a consistent slickness in the action scenes, and occasional suspense too. But it’s all let down by the Class IV level of writing. Repeated dialogues about the sacrifices of army men feel token, and a closing song in which families send off their soldiers to the frontline is shamelessly manipulative. I’m going with two out of five for Holiday. Akshay Kumar livens up the proceedings now and then, but a lot of it is just thookpatti in this Thuppaki remake. HOLIDAY – A SOLDIER IS NEVER OFF DUTY comes across as an exception because the smartly-packaged fare never loses focus from its core issue with the post-interval portions diversifying into race-against-time thriller mode. Also, Murugadoss employs the right tricks to woo the entertainment-seeking spectator. On the whole, HOLIDAY – A SOLDIER IS NEVER OFF DUTY is a slick action-thriller that keeps you engrossed, enthralled and captivated all through, thanks to its fascinating premise and a watertight, razor-sharp screenplay. Go for it! Holiday – A Soldier is Never Off Duty, a remake of the Tamil blockbuster Thuppaki, is a profoundly moronic film. Without pause, it moves from one preposterous situation to another. So fearsome terrorists are stored in bedroom cupboards, frantic searches for sleeper cells are interrupted by an inane love angle, at one point, the hero fixes his dislocated arm by casually snapping it back into place. Holiday – A Solider is Never Off Duty is a superstar vehicle without a brain or a heart. I’m going with one star. Holiday, obsessed as it is with detailing Akshay’s efficiency, takes obscene amounts of time getting to the point. Cut down to less than half its running time, Holiday could perhaps have been bearable. As it stands, three hours long and incredibly yawnworthy, it’s the kind of mess that makes you miss scenery-chewing villains like Prakash Raj and long for item songs. Anything for a respite. The audience nearly applauded when the intermission began, I kid you not. On the whole, Holiday is an excellent entertainer and will bring in huge crowds to the cinemas. It will keep the audience and the exhibitors very happy. As for the distributors, they will remain happy but less than the others because of the very high prices they have paid for the distribution rights. Incidentally, the film deserves tax-exemption. There’s two ways to do an ‘army’ film. one is about war, tragedy and human loss. Another one is to make it like a secret agent/spy thriller. This one goes the other way but lacks the pace that is needed to keep the viewer interested. Yes, it is a remake of a hit Tamil film, but there was a lot of room for improvement. The songs are catchy but you wish the director had considered if it was really needed in a film like this. You keep wishing it was more real. It’s the frills that dilute the film. 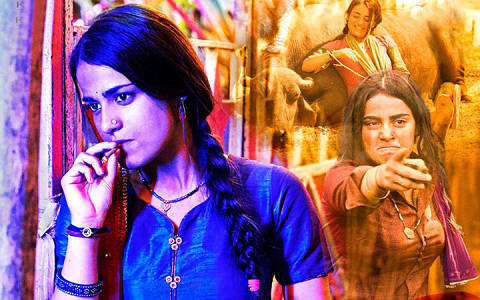 The director could easily has taken it’s high-class Bollywood film like A Wednesday and not the low-rent and exploitative route. It is a near frame-by-frame copy, and the original had the kind of full-on action interspersed with broad comedy that South actioners are full of, which never travel too far in Hindi remakes. As the brainy-and-brawny villain, Daruwala has not even an iota of menace: the original had Vidyut Jamwal, and he made at least the action bits fun. When will the South ‘masala’ remake find a decent burial? It is long past its sell-by date. Holiday is a ride gone horribly wrong. It is a drab and dreary action thriller in which neither the action nor the thrills rise to any great heights. In the end, Holiday resembles the hero’s aforementioned broken arm, a crooked and cracked limb in desperate need of a bone replacement surgery. Holiday lacks the sustained intensity and urgency of an edge-of-the-seat spy thriller. The script does not allow Akshay Kumar to be the no-nonsense action hero that would have held the film in better stead. South Indian filmmaker A R Murugadoss gives a Bollywood spin on his Tamil blockbuster ‘Thuppakki’, but ends up losing the punch in translation. Half way through the film, Akshay asserts he wants to turn the “sleeper cells into coma cells”, but what he manages, instead, is to put us into deep slumber. The hardest bit about average films are that you are always in two minds whether to recommend them or to suggest you let it pass. However, for a change, I am suffering from no dubiousness this time. Don’t miss Holiday for the sheer fun of watching a film that wins solely for its delicious brutish action. The narrative isn’t exactly a work of genius with the logical apertures frequently getting the better ​of you. But Murugadoss doesn’t let go off the breakneck speed that Holiday benefits from. ​The film without the briskness would have failed to rise above the half decent mark. Don’t miss this one for the reckless headlong roller coster ride it holds for you.